Imagine you are sitting down to enjoy a delicious, fancy meal. As your server pours you a full-bodied red wine, you anticipate the smells, tastes, and overall experience. You taste your wine, and…it's warm?? And tasteless?? For those of us who love a good wine, we can appreciate the importance of proper storage and serving techniques. These are a critical part of the wine experience, ensuring that we get to enjoy each wine for its individual and unique character. Here are some important tips for proper wine storage. Wine needs to be kept cool, but not cold. 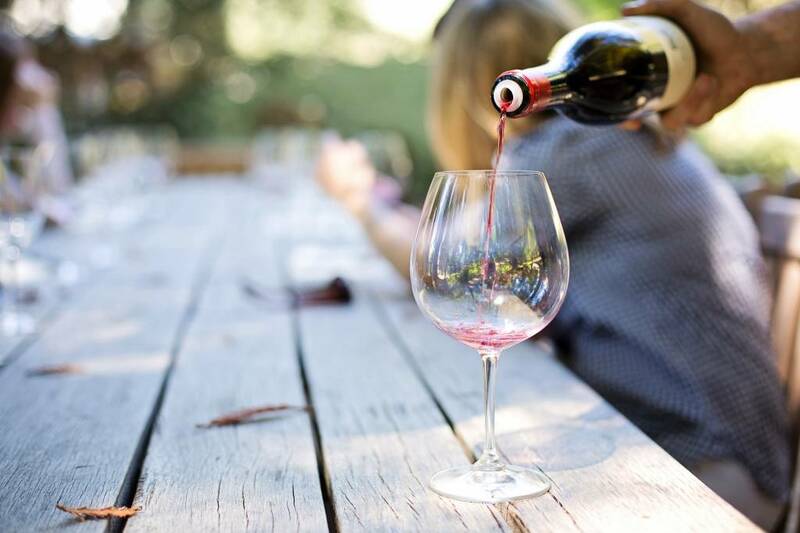 While the ideal temperature is 55 degrees F, wine should keep well between 45 and 65 degrees F. According to Wine Spectator, it is important to also maintain your wines at this temperature until they are ready to be served. Avoiding extreme temperature shifts could cause seepage or push the cork. Try and keep it in a dark, moist place at temperature. Wine Folly discusses an interesting study that involved a group of Tuscan wines in a home closet versus an actual wine cellar. Over two years, the closet wines had bad chemical reactions and lost their color and antioxidants at a rate of four times faster. Relax and enjoy your wine. While proper wine storage is important, most wine is ready for drinking immediately when you buy it. That's right! According to Wine Folly, only a small amount of wine will age well over time. If you follow the basic storage rules, you're in good shape! Now, storage isn't the only part of enjoying your wine. Proper serving of wine is an important part of maximizing your wines as well! Here are the best tips to serve your wine. Choose the right wine glass. If you have a choice between glasses, select one based on your type of wine. Research has shown that different glass types help to deliver the wine's aromas, helping improve your overall wine experience. Wine Folly offers a great guide to different glasses for those wanting to learn more! Decant red wines. While most wines don't require this type of treatment, it is important to decant young, tannic, reds and old vintage wines. Some wine experts recommend decanting all red wines to improve your enjoyment. This will help the wines open up and allow them to be fully enjoyed and realized. These tips will help you store and serve your wine like a professional. That said, the most important part of the wine experience is to enjoy yourself and find what tastes and types work for you. What are you waiting for? Let's drink up!